The aerospace industry relies on complex structures, segments and components that demand high levels of precision and consistent quality. Promac is experienced with creation of non-flight aerospace parts and components large and small. Our specially trained team maintains the required certifications to satisfy the needs of our aerospace customers. 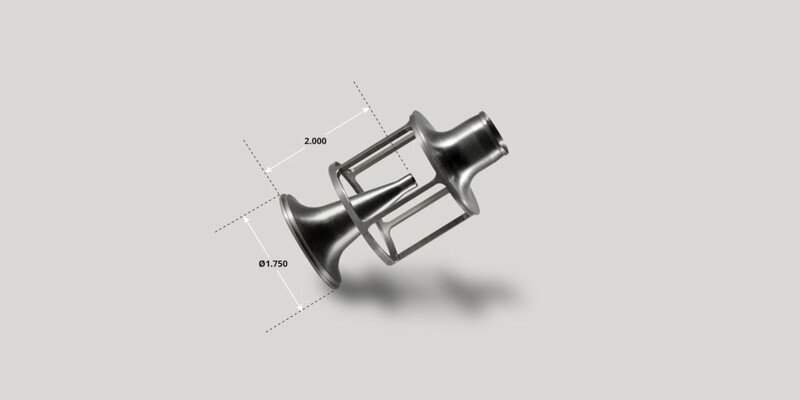 321 Stainless test nozzle assembly used to test experimental air flow design. 718 Inconel pin used for positive location of aircraft engine fixturing component during a test cell application. 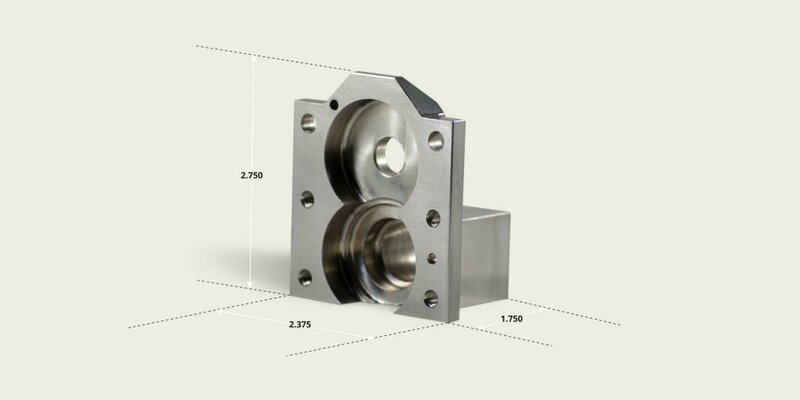 Dimensions: 2.375" x 1.750" x 2.750"
Gearbox housing machined from 17-4 PH Stainless. Bores and c'bores jig ground in preparation for bronze bearings and/or needle thrust bearings. 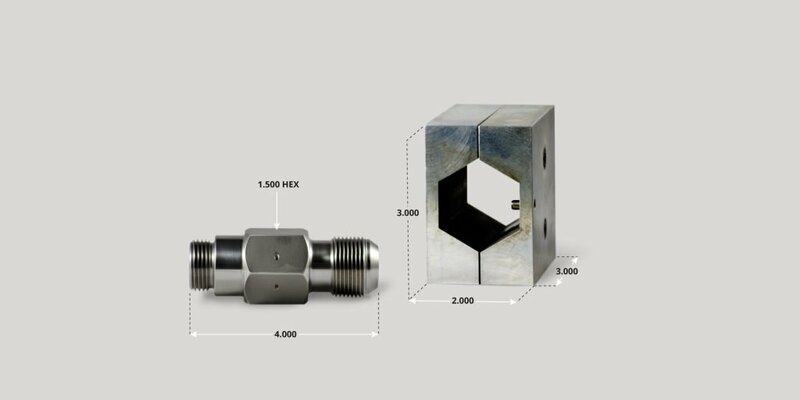 Simple but effective fixture to locate an Inconel hex fitting in need of safety wire holes. 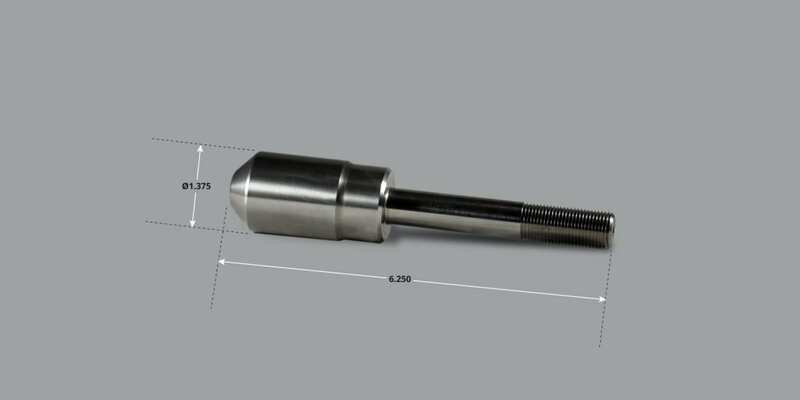 Fixture locates as well as guides EDM Hole Popper electrode to efficiently burn .062 diameter safety wire holes through the hex sides.